Yes, that’s a lot of patent-ese in terms of language, but it could certainly be a handy feature. For instance, if you’re running late to a meeting, and the person hosting the meeting calls, it could be useful to send them a message saying how far away you are. Whether Apple will actually introduce this feature any time soon remains to be seen. 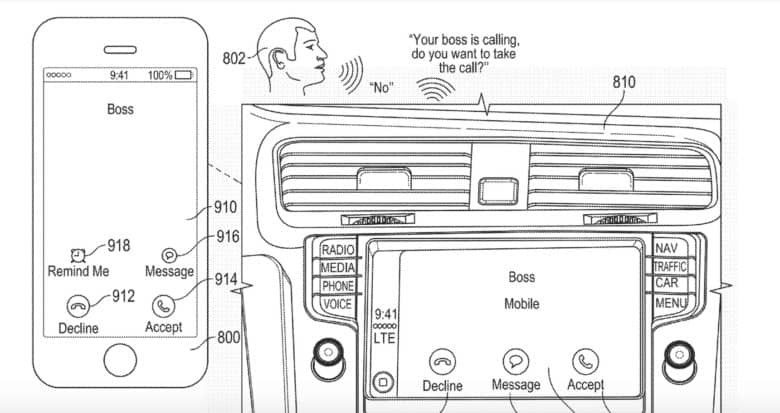 Like a lot of companies, Apple files plenty of patents which never make it to market (we’re still waiting on the joystick hidden beneath the now-vanished iPhone home button!). But there’s no doubt that smart features which can carry out useful automated interactions on the part of the user are becoming more widespread.